Winegrowers training in sustainability issues was followed by two training sessions addressed to hotel staff of all levels. 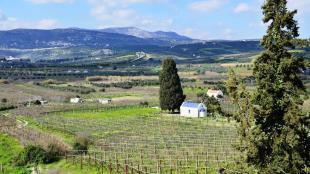 The target of this training was educating the staff to offer improved quality services and awareness to hotel guests about Cretan wine history and native vine varieties. A series of events has been scheduled to take place from July 31st until mid October 2016 in the hotels participating in the Sustainable winegrowing project of Futouris e.V. 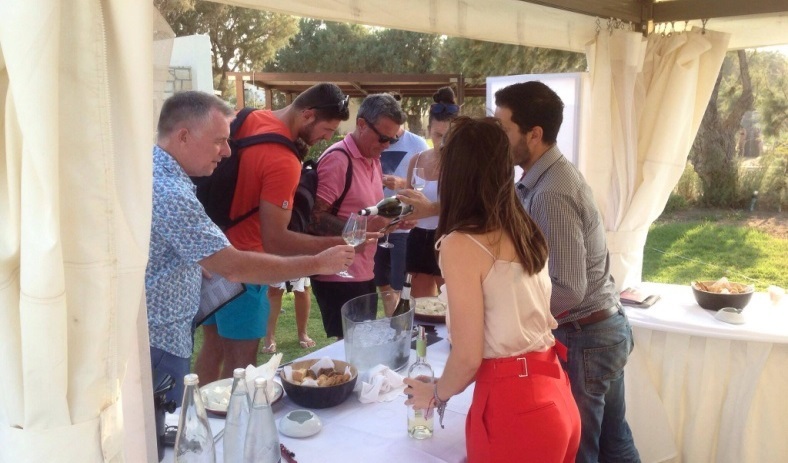 The wine events are realized in cooperation with Lyrarakis Wines & Local Food Experts social cooperative enterprise, partners of the Futouris Sustainable Winegrowing project. The first event took place on July 31st, in the beautiful seaside gardens of Agapi Beach Resort of Sbokos Hotel Group. Following its Sustainability Policy, Agapi Beach promotes the Futouris e.V. project goals by organizing relevant experiential events among its staff and guests over the coming two years. The Management Team of the hotel prepared dishes with delicious traditional Cretan cheeses matching with the wines from native grape varieties that were served to guests who joined the event. 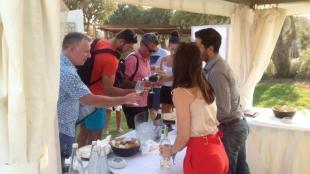 Guests who attended the event of Agapi Beach had a good knowledge of wines and got excited by this wine experience. They had the opportunity of learning about native grape varieties and the effort of Lyrarakis family and their affiliated winegrowers to produce wines under sustainable winegrowing principles. 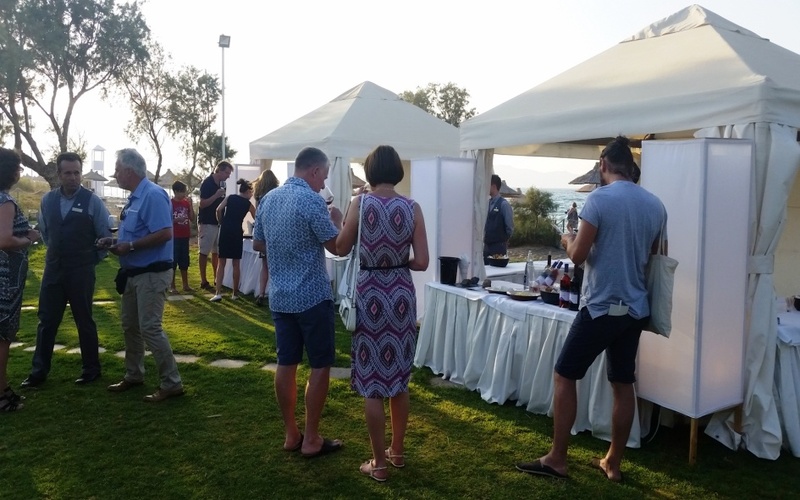 Guests tasted and smelled aromas, flavours and qualities of the Cretan land, listened to the history of each selected wine and the benefits arising for Crete as a wine tourism destination. There had been a small participation fee per guest. The money raised by Agapi Beach from those fees, as well as fees that will be raised from similar events in the future, are donated to non-profit organization “Stegi Anilikon” (Childrens’ Care). Staff involvement and pleasure and guests’ satisfaction is a great encouragement for project partners. More news from more events of this Futouris project are on the way!